Join us for our next show this Sunday, September 21! After the July break, our August show returned with loads of great attendees and vendors! New and longtime sellers brought wonderful new things to see and purchase – and the buyers were part of the fun too! August was also the 45th anniversary of Woodstock and there was lots of great records – some very rare – from that era. It was a fabulous show and this Sunday will be too! We look forward to seeing you there, 9 am – 3 pm and admission is always free! Check out some fun photos from the August show below! 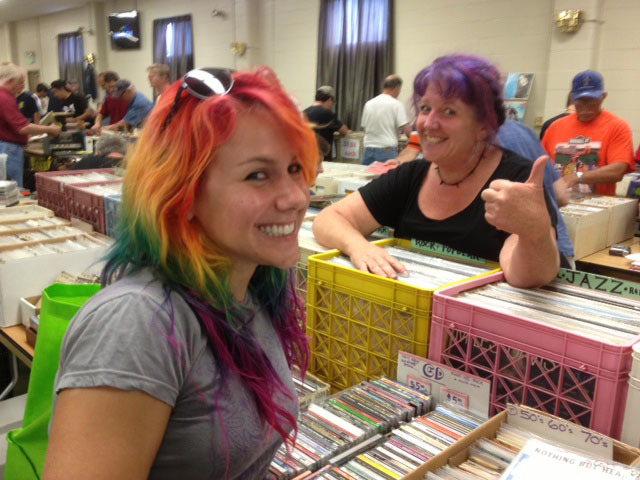 A vendor and a buyer share colorful do’s! 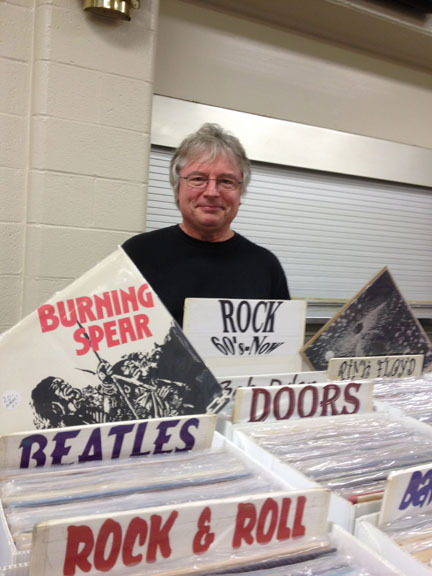 Longtime Pennsylvania dealer, Mike McCully, made his Arbutus Record Show debut! 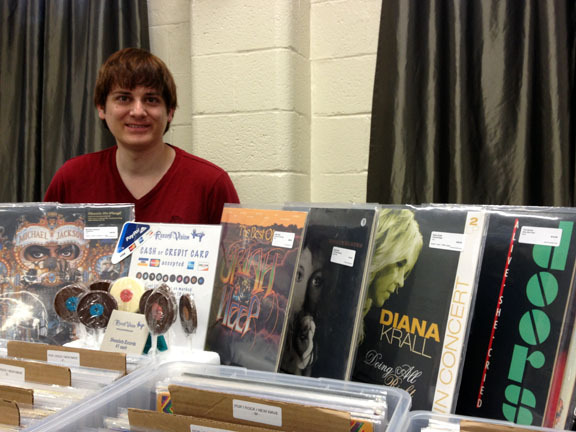 One of our newest and youngest vendors, Ed Bach of Record Vision (www.recordvision.com), poses with a great selection of albums – and homemade chocolate lollipops in the shape of an LP. A great gift idea! 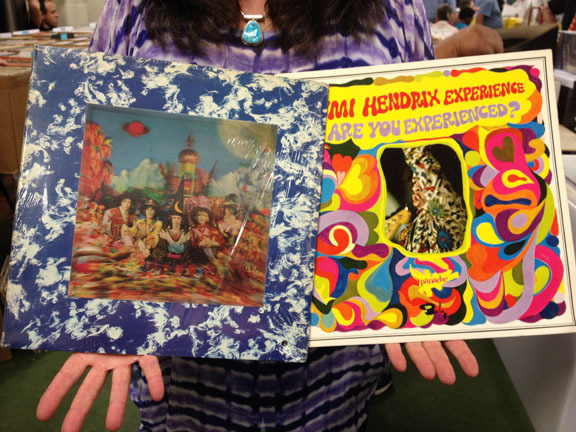 Dealer Karen Albright, who with her husband Zary specializes in funk and psychedelic music, displays rare LPs from The Rolling Stones and Jimi Hendrix – both from 1967. 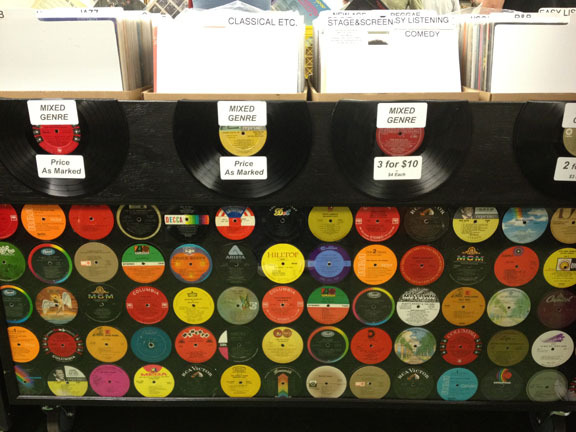 Dealer Jim Arrasmith introduced some amazing displays for his albums. He built and created them himself. This entry was posted in albums, arbutus record show, big band, books, CDs, collectibles, country, funk, gifts, jazz, love songs, music, posters, psychedelic music, R&B, Rock n Roll, rockabilly, vintage, vinyl and tagged albums, Arbutus Record Show, Beach music, big band, books, CDs, collectibles, country, country music, DVDs, funk, gifts, jazz, music, posters, psychedelic, R&B, record show, records, rock and roll, rockabilly, soul, soundtracks, T-shirts, vinyl by arbutusrecordshow. Bookmark the permalink.